There are fresh indications that the Australian greens may now be fighting a losing battle against India's powerful Adani Group’s $16.5 billion coal-mining project in Carmichael, next to the delicate marine ecosystem, Great Barrier Reef, in the Queensland province of Australia. They are accusing authorities of complete sellout on environmental front. 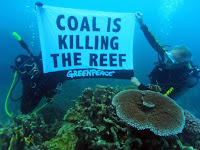 One of the world’s most influential environmental NGOs, Greenpeace, in a media statement, said that the authorities have “sold out” the Great Barrier Reef, next to the project site to the Adanis, even as “undermining” the aspirations of the Australian public. It is not known what the NGO proposes to do now to reverse the alleged sell out. The statement comes just a day after the natives of Queensland province knocked at the Federal Court doors that the mining project would mean their traditional rights over the land would be infringed (read HERE). 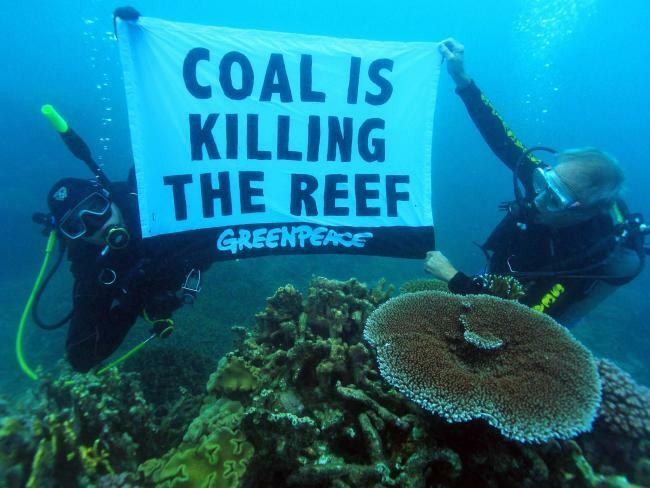 “As Australia’s largest coal mine, Carmichael will add to the global warming that is threatening the Reef. It will mean expanding Abbot Point port, dredging in the Great Barrier Reef World Heritage Area, and sending more ships through this delicate ecosystem,” the environmental NGO campaigner said. “Despite state and federal government support for the mine, the $16 billion Carmichael project has attracted no financial backers in the last six years as investors look elsewhere for returns”, the campaigner recalled. The new authority for the project, which in effect means that the coal mining project would go ahead, is being allowed despite the fact that “the proponent, Adanis, do not have the money and 14 international banks have stated they will not fund it”, she said. “With the global coal market plummeting and countries like China, the US and even Vietnam phasing out new coal mines, the Queensland government should be creating a transition plan for coal workers, not backing a dead-end project like Carmichael”, the campaigner said. The decision to set up the environment has been taken despite the fact that, said the campaigner, the Australian department of environment acknowledges that “the Reef provides employment for more than 69,000 people”, and their livelihood would be affected.